« True Story: Milestone Time! We gotta get our little guy’s hair cut one of these days. It’s my family’s tradition to let our boys’ hair grow until people start mistaking them for girls (I know we’re not alone!). Part of it is that once a toddler boy’s hair is cut, he officially “is no longer a baby.” Truly, boys look dramatically grown up once those wispy little curls are cut. I know it sounds silly to some folks. In fact, I know some people who have huge problem with “babying” toddlers. Especially when it’s your first, it’s probably a little harder to do things like cut their hair (and ditch the blankie, the binky, the bottle, etc. In fact, we’re working on ditching the bottle right now). For simplicity’s sake, we’ll probably go with a very standard haircut (and my dream is to take him to an old-timey barber shop, which we have in spades in McHenry County). Though, if you would have asked me 10 years ago, I’d insist my kid rock a mohawk. Maybe in a few years. 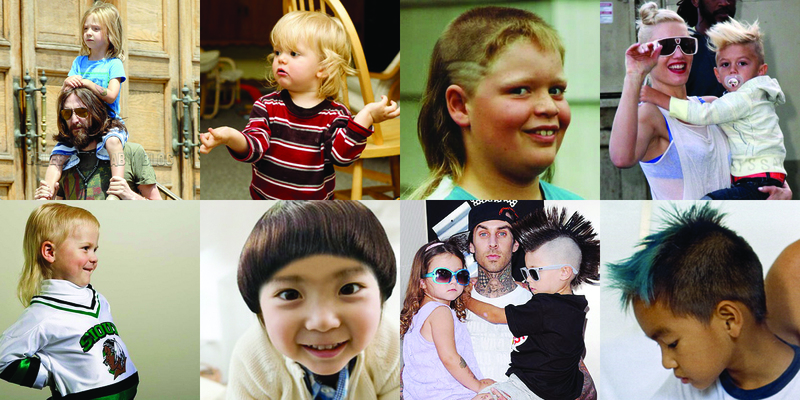 I had some fun looking up celebrity and non-famous toddler dos for inspiration.